Do You Hear What I’m Saying? It’s one of the fundamental truths about successful relationships: we need to be active listeners. But what exactly is active listening? Whether it’s with our partner, colleagues, friends or family, we need to really hear what they’re saying. That’s active listening. Too often, while the other person is talking, we’re composing a response in our head. We’re kinda listening, but we’re not truly hearing what they’re saying because we’re too busy working on our reply. 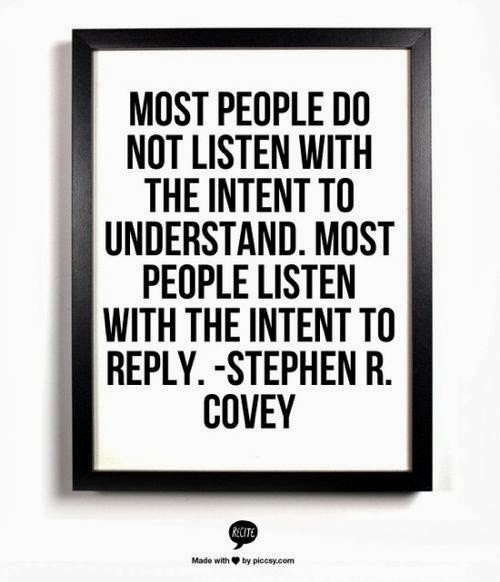 When we practice active listening, we stay tuned in to what the other person is saying. We wait to create our comeback until after they’re done talking. This may mean a pause or moment of silence between comments, and that’s okay. That’s the time to think about how we want to respond, not before. Let’s be honest, we all want to be heard. So let’s give active listening so we get active listening.